The Sheep Whisperer: Humming Along! I Fly like a Helicopter! Just call me "Twirly Bird"! world's smallest bird! They measure three and one half inches & weigh as little as a penny.The Hummer is an energy-burning machine, having a very high metabolism that,gram for gram,is hard to match. Located in North America, this amazing creature migrates twice a year to Central & South America. To prepare for the journey, the Hummer must reserve extra energy. With a 500 mile non-stop flight over water awaiting it, the Hummer hibernates at nights, using only up to one-fifth or one-sixth of the normal fuel required. The Hummer is a true disciple of the Boy Scout's motto "Be Prepared"! I'm a real Sucker for this stuff! 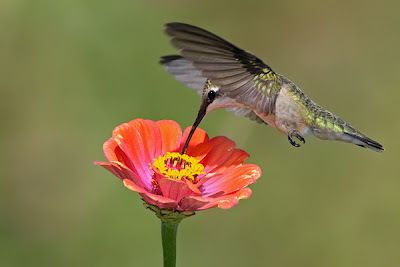 Hummingbirds eat nectar & a host of insects which, on any given day, would amount to an equivalent of 300 lbs. of human food!Hummers, like sheep, are characteristically creatures of habit. Once they have selected a perch, they will return to it faithfully, even if the perch is broken! They are also extremely protective of their territory & will fend off any potential intruders. 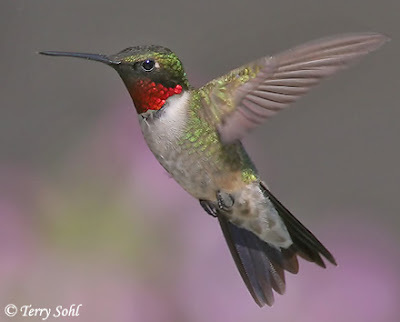 Legends say that Hummingbirds float free of time, carrying our hopes & embracing life & all it has to has to offer! 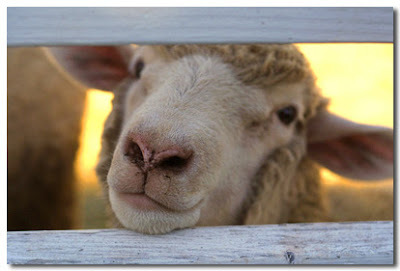 Do Ewe think I Look Needy? Sheep, unlike Hummers, are not very good planners! 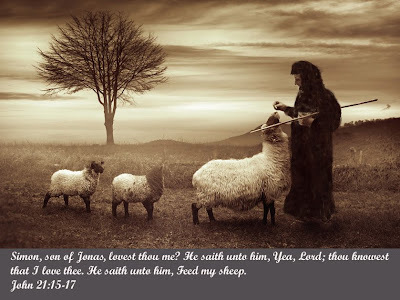 They are very dependent upon the Shepherd to prepare the necessities of life for them. Ewe only have a few exceptions to this rule, those sheep that deliberately take off from the flock ,often to their own detriment. Shepherds act as the "Boy Scouts" of the "Sheep" world. This is especially true when Shepherds prepare the high tablelands for grazing. They remove all poisonous flowers & scout safe locations appropriate for grazing & sleeping. Follow Me! I have prepared some real treats for ewe! As Ewe reflect upon the ewe-r dependency upon the Good Shepherd, rejoice that He has gone before Ewe & knows what this day holds!